We do it all, from custom homes to small commercial projects. We uniquely create projects of variety: Southwest Impressionism, Santa Fe, Tuscan Old World, Santa Barbara, Contemporary, Arts and Crafts, and AZ Rustic Design. 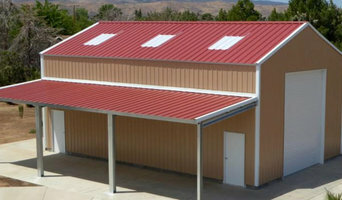 Fred Robinette Construction is a general contractor servicing Duncan, AZ and surrounding areas. We specialize in room additions, full renovation projects, kitchen remodeling and bathroom remodeling. AZ Revamp is the leader in construction excellence in the Valley of the Sun. We understand our responsibility in turning your dream into a reality. We deliver this to you in the shortest time possible, with the highest quality materials, within your time frame and budget. Our mission it to build smiles. As licensed contractors, AZ Revamp provides you the assurance of quality workmanship using quality materials. As Investors we understand how critical time is in a project. AZ Revamp sets the standard in turning projects in the shortest possible time thus significantly reducing your holding cost, adding to your bottom line, or quickly improving the value and appearance of your home so you can get back to living. YOU are the most important person in our company! Residential, Commercial and Hospitality Design. We have a passion. Space planning to new construction, move in ready, there has to be vision. The ability to portray what one is thinking. DeMasseo Design is a small boutique firm with the ability to bring your visions to life. Function, practicality , and visual elegance. Let's have fun! Redesign Green Build LLC is a full service one stop shop Consulting, Design & Build Firm concentrating on Remodeling, Renovation and Repairs for your home in the Greater Phoenix area since 1998. With over 38 years of distinguished service and over 600 homes built in Green Valley, Tubac and Southern Arizona, Pierce Homes has built a solid reputation as a quality home builder. Contact us today! The owners of Williamson Development, Ryan & Chad Hardy, are devoted to building dream homes and creative commercial spaces throughout Arizona. Recognizing a lack of quality construction at a reasonable price, they decided to combine their talents to form Williamson Development in 2012. Knowing their cost to build was already one of the most competitive in the industry, Ryan & Chad decided that they would strive to set themselves apart with their superior client experience. Custom Home Builder in the Greater Phoenix, Arcadia, Paradise Valley, and Scottsdale area. 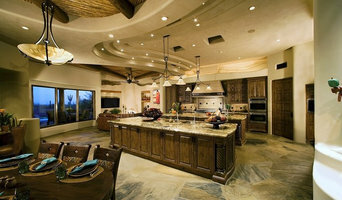 We are a Quality Custom Homebuilder in the Phoenix Valley. We strive to meet our clients needs, build a beautiful home, and build valuable relationships. We are deeply passionate about what we do because we know that your home is your sanctuary. It's a place where you live, relax, cook & make some of the most cherished memories with family and friends. 30 years experience in home remodeling. Specializing in kitchen and bathroom design and renovations. We start with creative design and space solutions and itemized estimates. We take our clients through the complete project step by step, on time and close to or under budget. Complimentary consultations. Call 602-980-9922 to arrange an appointment. Astratto Design specializes in architectural 3D rendering & design. Astratto is an Italian word meaning Abstract or Thought. Our mission's to bring your abstract or intricate design vision to life. Transform your house into your dream home! 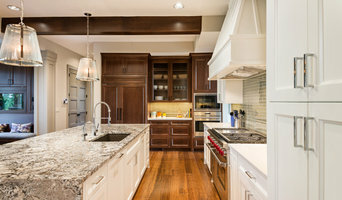 Our team has produced award-winning designs over the past 18 years through our exclusive home remodeling process. Contact us for your free consultation! Furcini Construction Corporation is licensed to build any kind of structure, residential or commercial. Since 1978 Furcini Construction Corporation has built office warehouses, retail stores, tenant improvements, custom homes and custom renovations of all types and scopes. It is this diverse experience, which has helped Furcini Construction Corporation to evolve into one of Arizona's most innovative and capable residential construction firms. WARREN ARCHITECTURE is committed to working closely with you, the Client, listening to your needs and wishes, balancing your desires with the budget, to create the home of your dreams. Residential, commercial General Contractor Building is our passion, what’s yours? Whatever you’re into, we hope you can respect the fact that we’re in business because we believe we are masters of our craft and we create projects that are truly show-stopping. We are in business to WOW, excite & over deliver. We are here to build for YOU. We mean business. We run hard & fast, with no stops and no excuses. We’re old school and believe in the power of a handshake, and if we promise we’ll get it done right, we will. Thriving in the valley since 2003, we might not have built the largest buildings, but we’ve built some of the most unique and intricate ones. We love a unique design challenge and off the map jobs, no cookie cutter predictable projects that many contractors do. Temac specializes in the intricate, hard-to-produce, fine quality craftsmanship. From steel fabricated staircases, one of a kind doors, and custom furniture, we do more than the generic frame, plaster and paint. We focus on quality, not quantity, and ensure every project we take on is manageable. Temac offers an array of residential services you will see below as well as portfolios of a few of the luxury homes we have built. We encourage you to discover all that is Temac Development, building just for you wherever you are in Arizona, California & Nevada. Today let your imagination run wild. Our craftsmen have years of experience. They take great pride in their work & believe in a job well done. Old world craftsmanship & the latest technologies are a part of every custom home we build. BEST OF HOUZZ FOR CUSTOMER SERVICE AND DESIGN 2015! Link Architecture delivers personal service at the highest level, working with you from the first day of design to the last day of construction. Our creative, thoughtful, simple and elegant designs reflect our clients. Light-filled interiors flow outside to site-sensitive gardens and landscapes. Starion Custom Residences was established in 2009 after it’s founder retired from the production home building industry after 26 years. It is Starion Custom Residences’ passion to be intricately involved with the client from the initial design to building their dream home. Our goal is to remove any anxiety for the client that may exist, by building confidence and trust from the beginning through the completion of your custom home or remodel. POSITION STATEMENT Starion Custom Residences builds homes for experienced homebuyers who want to realize their personal design through outstanding craftsmanship by a master builder. HOMEBUILDER NICHE We specialize in custom homebuilding for Central Phoenix’s historical restorations and remodels, as well as new construction. It is Starion Custom Residences’ focus and committment to compliment the existing architectural styles that are inherent to the neighborhood, and incorporate sustainable materials into the project where practical. We also have new home construction experience in many of well established communities throughout the Phoenix metropolitan area. HOW STARION CUSTOM RESIDENCES’ CLIENTS FEEL ABOUT THEIR HOME Our clients prefer creature comforts, room to roam, space that is custom made for “you” and your lifestyle. Our designs are influenced by our clients’ education, profession, status, colleagues, friends, literature, travels, hobbies, sports, social activities, and entertaining. Your home is no longer just a shelter. Starion Custom Residences’ believes in incorporating the comforts and styles from your previous home into your new design, so as to stay specific to your personal and social beliefs. FORM AND FUNCTION We focus on practical yet impressive living spaces for your family and friends. We recognize that our clients demand the ability to entertain with style, ease, and grace. Starion Custom Residences offers unique features to your home with attention to detail that “you” can see. Starion Custom Residences’ outstanding craftsmanship and quality creates the special details in your dream home. Our clients appreciate the use of specific materials to personalize your design through the special touches that are meaningful to “you”. A custom residence built with the collaboration with the client, but trusting the expertise of Starion Custom Residences to bring your dream to life. mTo Construction specializes in designing and building custom residential remodels, additions, and new homes in north central Phoenix, Paradise Valley and Scottsdale areas of town.